Your account includes a fixed number of companies you can track. There is also limit on how many companies you can swap. 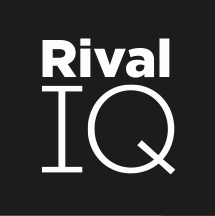 Every Rival IQ plan includes a fixed number of companies that you can track. We compute the size of that set of companies by counting the unique companies across all of your landscapes. That means that if you include the same company in multiple landscapes, it only counts one time. Of course, you'll want to update your landscapes from time to time, adding and removing competitors, influencers, and partners. Every Rival IQ plan also includes a fixed number of new companies that you can swap into your account. We calculate your new company additions over a 30 day window. Here's an example. Let's say you have a plan that includes 20 companies and 10 monthly swaps. You've been tracking the same 20 companies for many months. Then, you decide that 15 of your 20 competitors are now irrelevant to you. You can delete all 15 of them from your account. As you start adding new competitors, you will only be able to add 10 new competitors, as your swap limit is 10 companies every 30 days. If you are curious about your monthly company swap limit, you can find more information on your subscription page.